Cryptocurrencies such as Bitcoin have seen a considerable increase in popularity. 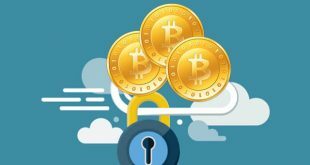 Within a few years ago, Bitcoin has emerged as a form of payment where many companies have already begun to introduce as their platform getaway. This has given many opportunities for payment to web users. More companies and websites are incorporating Bitcoin as a payment method for their services. Among these websites, there are some of the most important and popular worldwide. The sites included in this list are some examples of the great platforms that have taken the first step in beginning to accept Bitcoin. The initiative of these great websites means important advances for the adoption of Bitcoin in more companies and platforms around the world. Bitcoin is the first decentralized digital currency. The man who started Bitcoin is a shadowy figure called Satoshi Nakamoto who once said in a profile that he came from Japan (although there is no Japanese Bitcoin page). Beyond that threadbare detail, little is known of him. According to a sketchy entry on Wikipedia, “Some have speculated his entire identity was created in advance in order to protect himself or the network.” In Japanese the name Satoshi means “Wisdom” or “reason”. Cryptocurrency are digital coins you can send via the internet. Although Bitcoins have been around since 2009, the hype and fascination over the unregulated virtual currency has increased rapidly. There are currently more than 11 million Bitcoins in existence, but no more will be made once 22 million have been created. Confused about the Bitcoin? Let’s take a closer look at the cryptocurrency. Bitcoin (BTC) is a virtual currency, created by a slow computer process called ‘mining.” The currency is not regulated by banks and can be used to purchase goods from anywhere in the world. It also trades like a stock or material currency. They are transferred from person to person via the web without going through a bank. This means fees are much lower, you can use them all over the world and your account can never be frozen. Cryptocurrency is stored in a digital wallet. When you transfer cryptocurrency an electronic signature is added. After a few minutes the transaction is verified by a miner and stored in the network. Cryptocurrency software is completely open source and anyone can review the code. A Blockchain is a public ledger database of all Bitcoin transactions that have ever been executed in the Bitcoin network. It is the protocol that Bitcoin is built on top of. It is constantly growing as ‘completed’ blocks are added to it with a new set of recordings. The blocks are added to the Blockchain in a linear, chronological order. Bitcoins are generated all over the internet by anyone with a computer running a free programmer called a Bitcoin Miner. Mining requires a certain amount of work for each block of coins on the Blockchain. This rate is controlled by the network so that Bitcoins are always created at a predictable and limited rate. The most widely used ways to pay for Bitcoins, this method requires you to provide an exchange with your bank account information and transfer money into a Bitcoin account. Cash-payment services, like Moneygram, compensate an intermediary at a specific deposit spot. The service then turns the cash to credit and deposits it into a Bitcoin exchange account. While many online retailers already accept Bitcoins, some major companies still plan to or already have adopted the new currency. Those companies include Amazon, Western Union, and OKCupid to name a few. Some examples of companies and sectors that started accepting bitcoin include the following. The Satellite TV provider is the first in this sector to allow its customers to pay for the plans and services in cryptocurrencies. The initial announcement had been made in 2014 when they partnered with Coinbase. By the end of 2014, the technology giant Microsoft recognized bitcoin as a form of payment. In addition, they created a Blockchain technology platform, which provide better management of their financial operations. Dell was not going to be left out of the list. The computer company included Bitcoins as a payment method in January 2014. Like Microsoft, the inclusion was achieved through a partnership with Coinbase. Expedia is one of the most frequented websites to get discounts on flights, hotels and car rentals. It is considered the largest online travel agency in the world, and that is why today they allow their users to make bookings with Bitcoins. Overstock is another partner of Coinbase that allows payments in Bitcoins in its online distribution platform. The form of payment is enabled since 2014. It is the leading platform in the gaming industry, and partnered with BitPay, so that players can purchase products in bitcoins and other cryptocurrencies. It is a charity organization that deals with the issues of education, and health. Its goal is to improve the quality of life of children worldwide. That is why they made the decision to include bitcoin as donation systems through a personalized Bitpay page. There are various other donation website(s) you can support with a recurring option should you want to support any cause. The popular fast food chain, specialized in making sandwiches, recently announced that it would accept bitcoin as a valid currency for the purchase of its products on an international scale. The popular payment application has accepted bitcoin for some months as a form of payment. For processing, it uses platforms such as GoCoin, Coinbase or BitPay. Bitcoin also offers the cannabis industry an alternative to banks. The lack of response from banking institutions has led the emerging cannabis industry to rely on cryptocurrencies like Bitcoin. Today Cannabis businesses are forced to make the total of their sales in cash, something that makes them accumulate large amounts of money in bills and coins with the consequent problems of logistics and security that this entails. However, the solution seems to be close. Cryptocurrencies provide dispensaries and other cannabis companies with the possibility of selling in more comfortable and safe virtual environments. Not only does it allow them to solve the problem of having too much cash, but it also facilitates purchases from customers, who can pay with their credit cards. To incentivise use, the industry gives discounts for this type of payment. At SeedSupreme for instance there is a discount of up to 20% for paying with cryptocurrency. From Microsoft to Dell, passing through KFC or Subway, there are already several big names that have decided to accept bitcoin as a mode of payment for their products. Whether it be electronic equipment companies, online stores, medical marijuana space, blogging platforms or travel agencies, Bitcoin covers more and more sectors of the global economy. Many websites decide to integrate cryptocurrency with their payment methods due to the clear advantages it offers to users: low commissions, access at a global level without banking or state restrictions and payment security.